Yesterday was too warm to feel like autumn. My van showed 98°F at 5:30 yesterday evening! Today’s high is supposed to be only 66°F. What a roller coaster ride in various temperatures! With the cooler weather comes more fall projects. 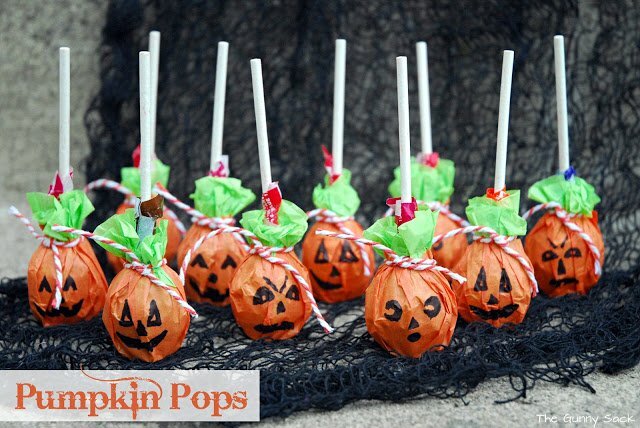 In past years, we’ve made lollipop ghosts but this year we put a twist on that classic by making pumpkin pops. 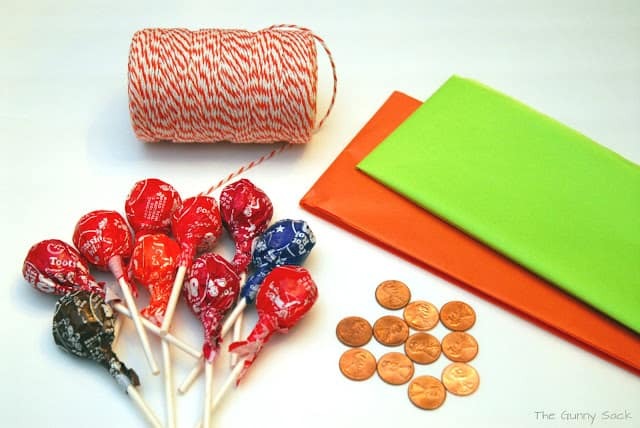 I used orange and green tissue paper, pennies, Tootsie pops and baker’s twine…as well as a Sharpie which is not pictured here. I have to admit that I am terrible at taking these “ingredient” photos when crafting or baking. I am forever leaving one item or another out of the picture. Or I decide to make a last minute addition and can’t go back to take another supply photo. 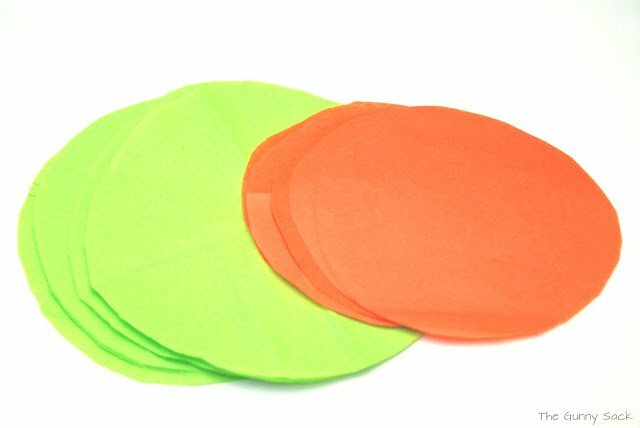 Cut the green tissue paper into circles that measure 5 1/2 inches across and the orange tissue paper into circles that measure 4 1/2 inches across. The pennies make it possible to stand the pumpkins up. These could be made without the pennies for younger kids and put into a bowl or laid out on a tray. 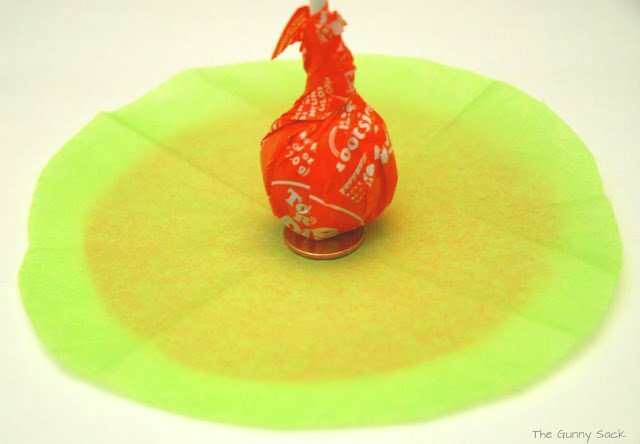 Wrap the tissue paper around the lollipop. 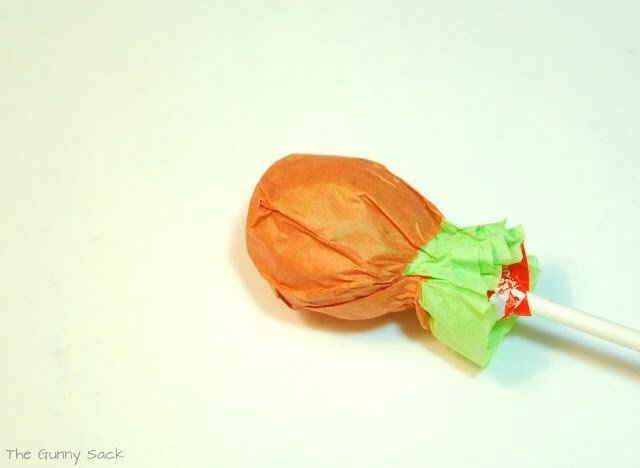 The orange circle just reaches around the lollipop. 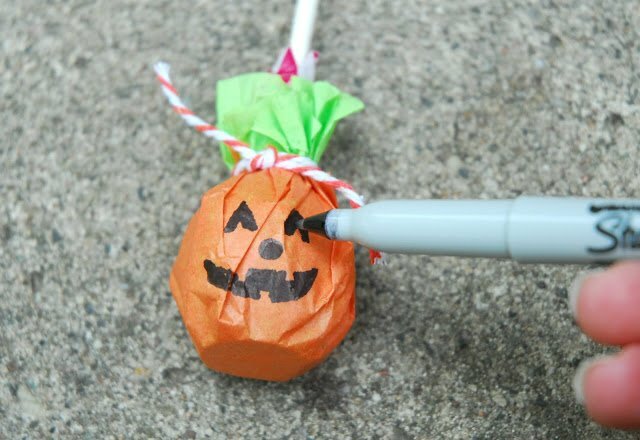 Tie a piece of baker’s twine around the lollipop to hold the tissue in place. Using an ultra fine point Sharpie, draw the faces on the pumpkins. 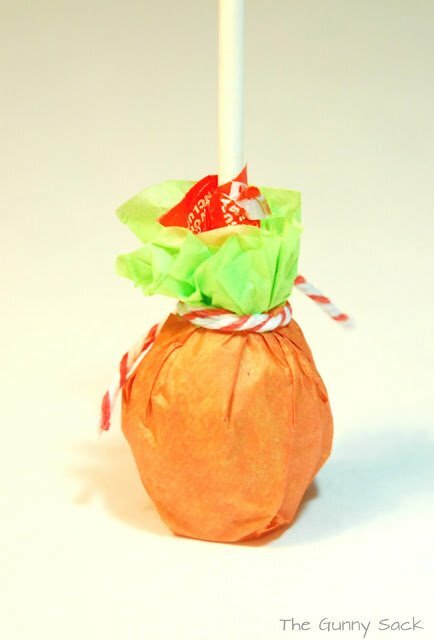 One would think my kids never get candy because they are anxiously awaiting the publishing of this post so they can have one of these pumpkin pops! I am thinking they are too cute to eat yet…should I make them wait or give in? Can’t wait to try making these for our church trunk or treat. I enjoy watching a childs face when they see something new like a new type candy or toy . To me it can be amazing. I help at our church and so I like to find or keep my eyes open for new ideas , anything to make someone happy . That is what I want to do most !!!!!!! What a cute idea ! Wish I had come across these last year. I love your recipes too and I have shared some of them on my blog….thank you ! GREAT idea! So simple, but these look so very nice! Cute! I agree, kids will love these! 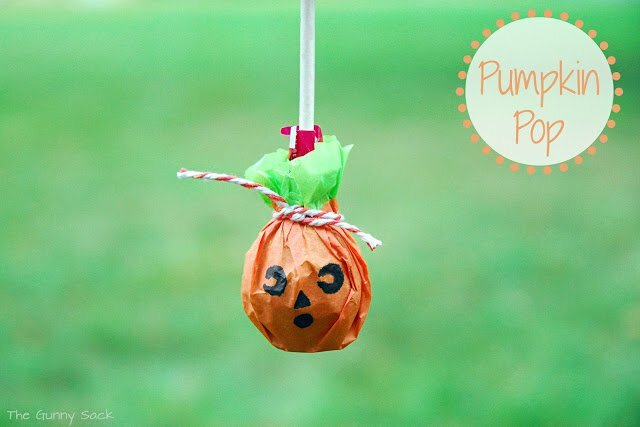 Another craft idea my kids will love! Adorable … and I love the penny idea to make them stand up. So cute! I am making these for my kids at school! Those are adorable, the kids will love them. Very cute! My kids are the same way. The other day I was taking pictures of cupcakes…I told them if they were good & let me get my pictures done the cupcakes were all theirs. I’m such a mean mama. ha! 😉 But it worked! This is such an adorable idea! It is so perfect for a Halloween party! Love it. how do you come up with such clever ideas?! this is too cute!!! These are so great! I’m planning treats for College Boy and these are perfect because I have to mail stuff so I can send a bunch!